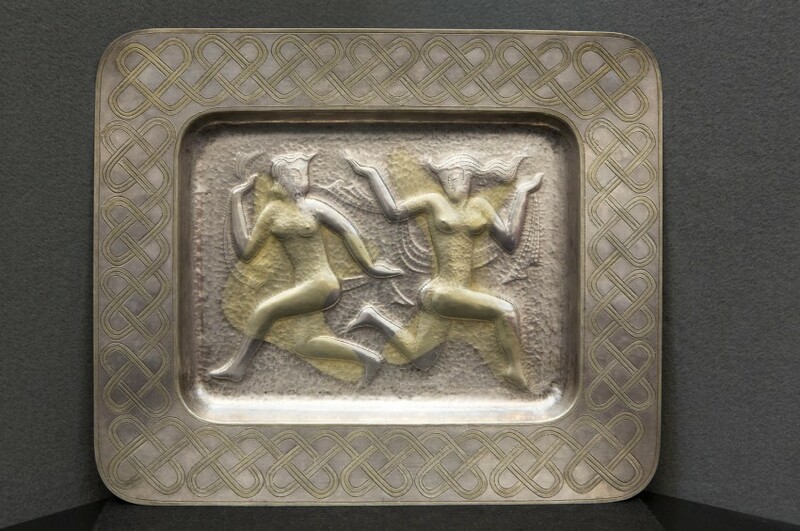 Description: Hammered metal plate with decorations of stylized figures of women. - Otani Haruhiko graduated from the Tokyo School of Fine Art in 1930. He studied under Katsura Mitsuharu. In 1940 he exhibited at the Hoshukuten, later he exhibited at the Nitten and Nihon Dento Kogeiten.